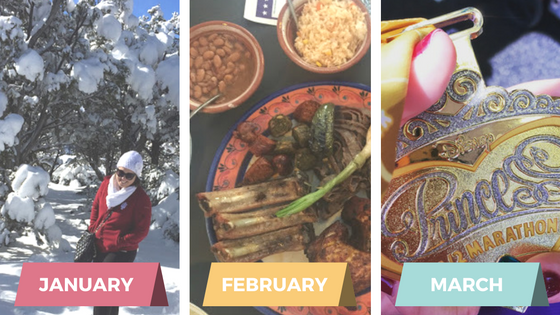 JANUARY: Exploring the Grand Canyon and Flagstaff with Dan, while visiting my sister and her fiance. FEBRUARY: Traveling to San Antonio for the first time! I'd really love to come back and explore more of the city. MARCH: Putting another half marathon in the books, my 2nd Disney Princess Half Marathon. It was a full-circle experience since that race was also my first half! APRIL: Our long weekend getaway to Austin was really cool. I can't believe it had taken me so long to get to that city! Not going to lie, this year was so crazy I almost forgot we took this trip. And of course it wasn't all one blog post: Jester King Brewery & Salt Lick BBQ, East Austin and East Cesar Chavez, Rainey Street and 6th Street, and LBJ Presidential Library, Bullock Texas State History Museum, and more. 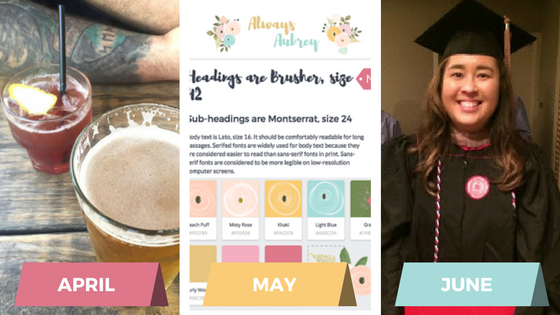 MAY: May is when my blog went from being "Adventures in Aubreyland" to "Always Aubrey", with all the hiccups, dead links, drop in traffic, and other issues that come with being a blogger who does pretty much everything DIY. Woof. It wasn't easy, but I think this was worth it... just wish the preferred handle I wanted on Instagram was available. JUNE: MBA GRADUATION! 'Nuff said, right? So glad to have two Master's Degrees under my belt after years of doing school while working full time. 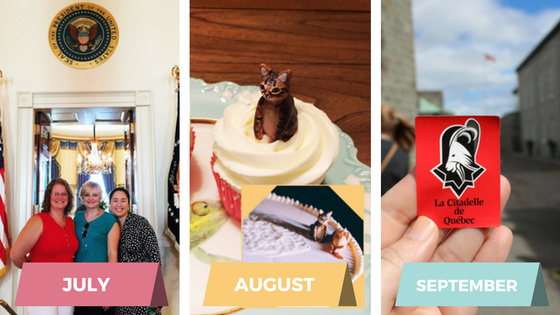 JULY: Okay, so I was in DC in June for DAR, but I blogged about it into July... and seeing the White House twice was one of my big highlights, especially the West Wing. I'm also now pretty glad I got to see it during the last year of the Obamas in the White House, just to feel that energy and sort of bask in it. I'm sure there will be some changes in the house this year, which makes me sad. AUGUST: We celebrated our 1st Wedding Anniversary. Woohoo! OCTOBER: ...to Montreal. We really loved this trip, and it reminded us that the coolest destinations are sometimes within your own continent, not just across an ocean. NOVEMBER: My friend Lindsey came back to town for a visit, and we had an incredible girls' night out meal at The Standard. 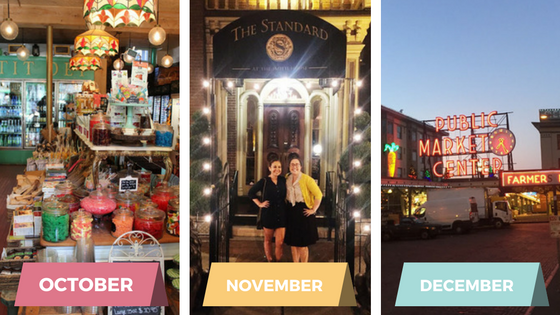 DECEMBER: Travel was a consistent highlight this year! I went to Seattle for the first time ever during a work trip in December. I saw the Space Needle and went to the Amazon bookstore. When I think about 2017, I think about wanting to be more in tune to myself and my surroundings. I want to be present in my own life, less busy and distracted. Rather than make a more specific goal, that is going to be my focus! Cheers to you all, and thanks for reading.